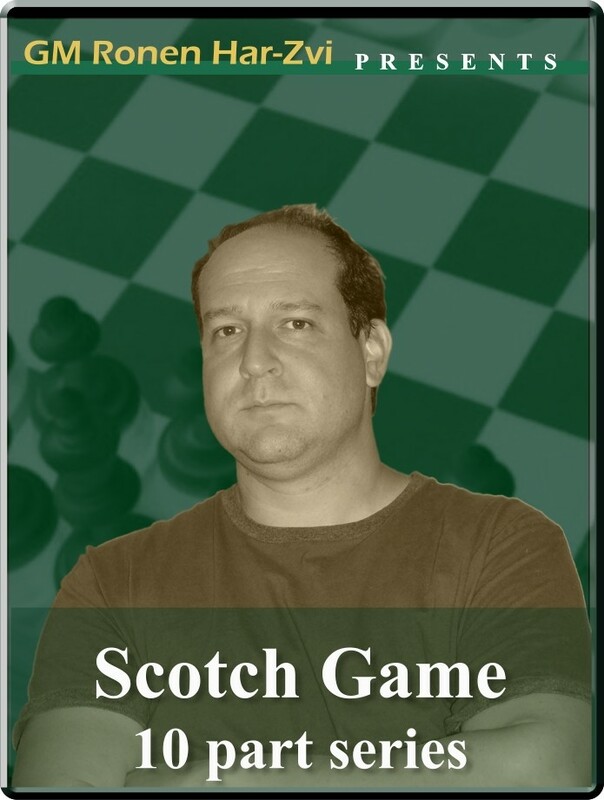 Ronen's Opening Survey: Scotch Game (10 part series). C45: Scotch game 4. … Bc5, Scotch game 5. Nxf6. The Scotch game with 1 e4 e5 2 Nf3 Nc6 3 d4 first came to prominence when one of the leading players of his day, Scottish barrister John Cochrane (who also came up with the Cochrane variation against the Petroff's with 1 e4 e5 2 Nf3 Nf6 3 Nxe5 d6 4 Nxf7!?) suggested it for his London Chess Club team when they took on Edinburgh Chess Club in what went on to become a famous correspondence match in 1824. When London first played it, they got a great position - but Cochrane had to leave for India and they could't convert their advantage, and drew. Edinburgh then opted to play the new idea in the next game and won - so the opening was named in their honor. However the Scotch lay dormant for the best part of a century at elite level until Garry Kasparov sensationally brought it back into fashion when he used it to ruffle up Karpov during their 1990 world title match. Since then, the venerable Scotch has had a new lease of life. And in a new series of Ronen's Opening Survey, our resident theoretical guru, GM Ronen Har-Zvi shows us just how potent a good Scotch can be. Ronen's Opening Survey: Scotch Game (10 part series). C45: Scotch game 4. … Bc5, Scotch game 5. Nxf6. The Scotch game with 1 e4 e5 2 Nf3 Nc6 3 d4 first came to prominence when one of the leading players of his day, Scottish barrister John Cochrane (who also came up with the Cochrane variation against the Petroff's with 1 e4 e5 2 Nf3 Nf6 3 Nxe5 d6 4 Nxf7!?) suggested it for his London Chess Club team when they took on Edinburgh Chess Club in what went on to become a famous correspondence match in 1824. When London first played it, they got a great position - but Cochrane had to leave for India and they could't convert their advantage, and drew. Edinburgh then opted to play the new idea in the next game and won - so the opening was named in their honor. However the Scotch lay dormant for the best part of a century at elite level until Garry Kasparov sensationally brought it back into fashion when he used it to ruffle up Karpov during their 1990 world title match. Since then, the venerable Scotch has had a new lease of life. And in a new series of Ronen's Opening Survey, our resident theoretical guru, GM Ronen Har-Zvi shows us just how potent a good Scotch can be.